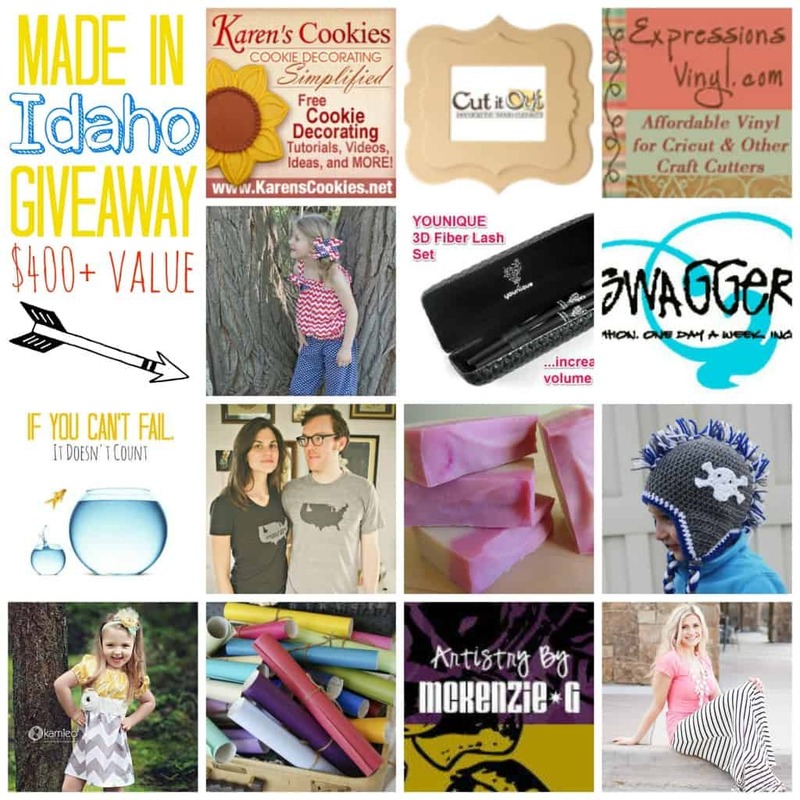 Did you know that many of your favorite online businesses and bloggers are from the state of Idaho? Most people only think of potatoes and Napoleon Dynamite, but there is a lot of talent packed into the great state of Idaho! 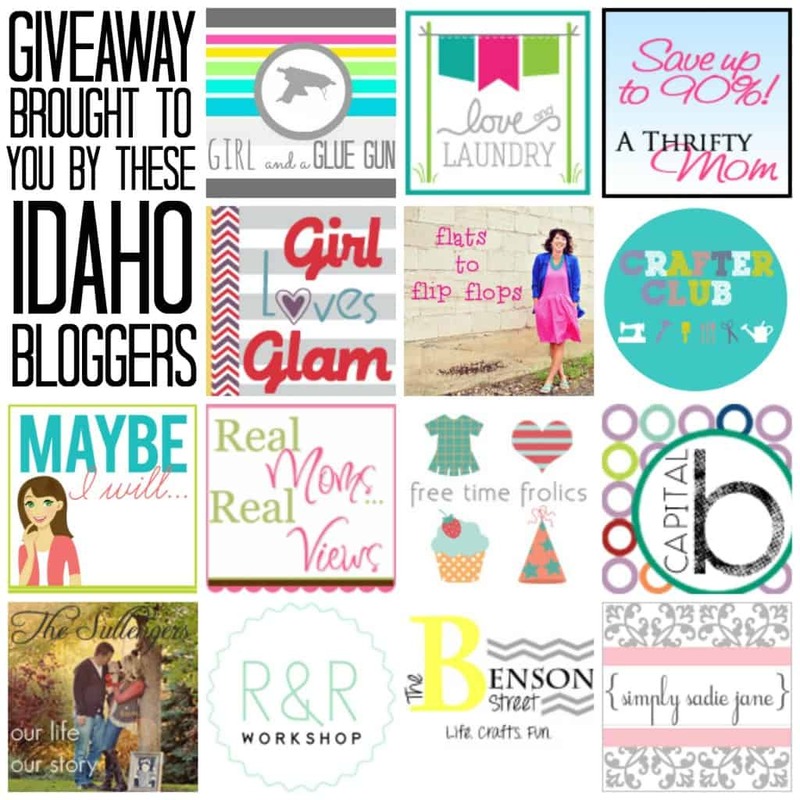 Several of the Idaho bloggers wanted to join together in celebration of just how great our state really is and host a BIG giveaway! All of the items being given away are from Idaho businesses who have customers all over the world! One lucky person is going to win over $400 worth of AMAZING prizes. We love these Idaho businesses and want to continue to support what they do! Go ahead and take a look at what they have to offer, there are some amazing products. Karen's Cookies Cut it Out Expressions Vinyl Cosette's Closet Younique by Debi Swagger Boutique If You Can't Fail it Doesn't Count on Amazon Fawn and Foal Handmade Soap Shack Bugaboo Stitch to Stitch My Vinyl Direct Artistry By McKenzie G The Jean Girl To enter, use the Rafflecopter widget below. Good luck!